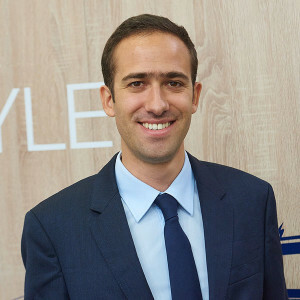 Hi, my name is Xavier Muller and I work as a Business Analyst for the LSG Sky Chefs’ Train Division. From now on, you will hear more frequently from me about what’s going on at European railway stations. My first post brings great news from my home country, France. Recently, our colleagues in Paris have been really busy with preparing the startup of our new train customer iDTGV. An exciting feature of the contract is that we teamed up with the well-known French coffee-shop chain Columbus Café & Co. The responsibilities were clearly assigned with Columbus Café taking responsibility for branding and marketing, while LSG Sky Chefs handles all logistics, packing, operations, HR management, customer care and crew management tasks. The new concept onboard the iDTGV stands out for how it brings the “Frenchiness” of Columbus Café & Co to the train. Passengers can now enjoy their Columbus Café moment while travelling on rails and choose from a unique assortment of products, which includes hot and cold beverages, as well as delicious muffins and cookies, plus savory bagels and sandwiches. From an operational point of view, managing a new partnership, setting up a whole new supply chain including IT systems at several stations, plus adapting the existing processes to our LSG Sky Chefs standards, were already a big task on their own. But the start-up team was multitasking with building up the new organization onsite, while transitioning 88 people from the previous supplier and training them on the new products and services. And all of that basically within 70 days! You can imagine that the team was really excited about the smooth start-up on November 16. Up to 22 iDTGV trains, carrying some 6,000 components will be served by them on a daily basis. Of course this great success keeps the team spirit high and incites all members to work hard on keeping our customer satisfied. After writing this post, I really fancy a good cup of coffee, how about you?